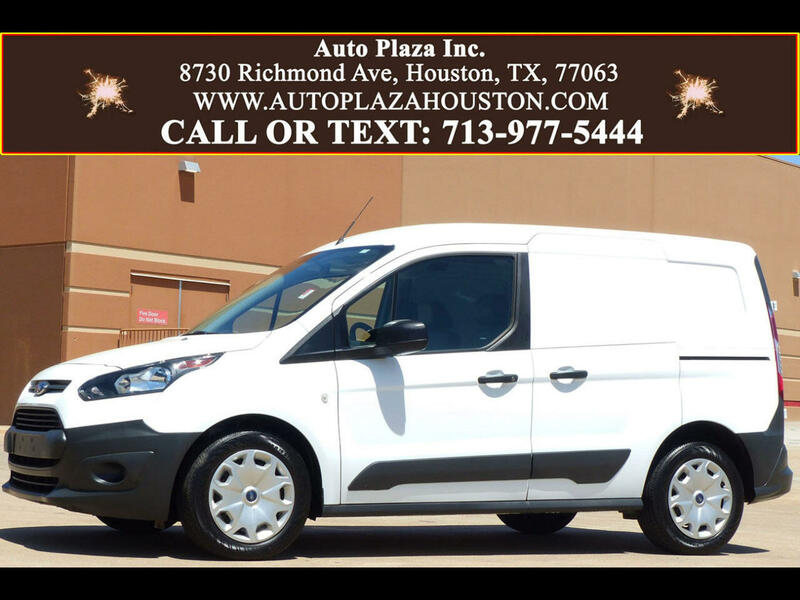 Used 2017 Ford Transit Connect Cargo Van XL SWB w/Rear Liftgate for Sale in HOUSTON TX 77063 Auto Plaza, Inc.
With Remaining Factory Bumper To Bumper Warranty Good Thru 09.14.2020 or 36K Miles!!! Like New! You are looking at this Low Mileage ONE OWNER 2017 Ford Transit Connect with a Slick 6 Speed Automatic Transmission. This Compact Cargo Van Is Perfect For Business!!! This Transit Comes Loaded With Cruise Control, Aux Audio Connections, Power Locks, Power Windows, Overhead Storage Compartment, Traction Control, Cloth Interior, 16-inch Wheels, Sliding Side Cargo Doors, Power Steering, Dual Front Air Bags, Air Conditioning, Black Bumpers, Intermittent Windshield Wipers, and MORE!! This Transit Connect Van is ready To Earn YOU Money! This Transit is Definitely one Deal YOU DO NOT Want to Miss Out On! Call Today to Schedule a TEST DRIVE. No appointment Necessary. Financing Available!! Visit Auto Plaza, Inc. online at www.autoplazahouston.com to see more pictures of this vehicle or call us at 713-977-5444 today to schedule your test drive. Most cars still have a remaining factory warranty and we can find out in service dates. Please note that the advertised prices qualify for pre-approval from your bank or cash buyers only. If you don't have any financing & need our assistance you may be charged an acquisition fee. Internet Prices may be entered incorrectly and are subject to change and subject to final Manager approval. Your submission of an offer is not binding to you or the department. Please call for details. **Disclaimer** Sales Tax, Title, License Fee, Registration Fee, Dealer Documentary Fee, Finance Charges, Emission Testing Fees and Compliance Fees are additional to the advertised price. Message: Thought you might be interested in this 2017 Ford Transit Connect.